Angels are messengers from God and Spirit. Angels can take on many forms, but usually appear to us in a form that we are comfortable with. Angels are from the stars and Heaven. They are spiritual beings, and have never lived on Earth in human form. Therefore, they are free of Karma, and other issues that one obtains from having lived on Earth. They are truly celestial beings with high vibration levels. 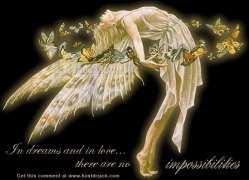 Angels are here to heal us, regain lost faith, protect us, inspire us, and fill our lives with joy. They help us on our spiritual journey, and guide us along our way. 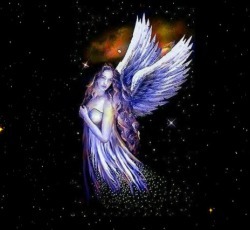 There are many different kinds of Angels, and each has a special role to play in your life. Angels seem to have a hierarchy that they follow. Your guardian Angel has been with you since birth, and will remain with you during your entire life here on Earth. Guardian Angels protect us, and help guide us along our path and will help us to cross over when we pass. Nature Angels are protectors of certain areas of Earth, such as a mountain or River. Archangels are protectors of the entire planet. The most familar Archangels are Michael, Raphael and Gabriel. Michael is the leader of the Archangels, and was the angel who defeated Lucifer. Raphael is a healer and is attached to knowledge which is gained through experience. Gabriel is a heavenly messenger who appears to reveal God's messages. Messenger Angels are angels that sometimes take on a human form, and will appear to you to aid you in time of danger or to teach you an important life lesson. Angels want to be part of your life, and are just waiting for you to ask them to help you. 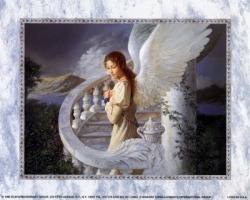 If you want Angels to help you with a certain problem, or to comfort you, ask them! The more that you begin to think about Angels, or pray or talk to them, the more you will feel their presence and guidance. Some people can actually see angels, others can feel their energy, or a soft breeze...But, everyone can feel the love of Angels! Open your heart and mind to Angels, and they will become a part of your everyday life and bestow their blessings upon you in many ways. Angels are our companions on the journey of life. Their love, light and wisdom can enrich our lives as they help us reach our own spiritual destiny.